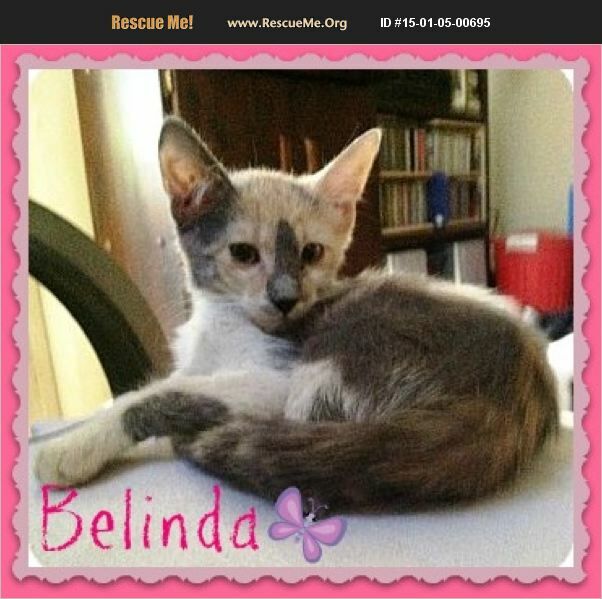 ***Sorry, we cannot adopt outside of Southern California*** This is the sweet and gorgeous Belinda. She is a Dilute Calico and is absolutely Beautiful. Her personality is just as stunning as her looks. Belinda was rescued from a high kill shelter with her siblings. She loves other kitties and loves to play. She would make a great addition to most any households. if you are interested in adopting this cutie, please feel free to email us. ****Adoption fee is Tax Deductible and includes spay/Neutered, microchipped, combo tested, vaccinations, dewormed and flea control. ****Adoption fee goes towards food, bedding, medical expenses, shelter fees to rescue cats from high kill shelters before they are put to sleep, ect.